Adrian Grenier’s Teenage Paparazzo Empowerment Tour Coming! Hey did you all know that in 2010, Entourage’s Adrian Grenier filmed a documentary about a teenage Paparazzo? Yeah, me neither. I’m very intrigued by the premise of this. In Teenage Paparazzo Grenier, the star of HBO’s Entourage, gets behind the camera to explore the concepts of celebrity and fame in today’s ultra-mediated society, befriending a 13 year old paparazzo along the way. He interviews celebrities and scholars to learn from their experiences. The film’s unique perspective raises pertinent concerns on what it means to be famous in America, and more importantly, why and how people consume popular culture. Touch, Bones Switch; House Retrospective Planned! Fox is tweaking their mid-season schedule. Touch moves from Monday following House at 9/8C, to Thursday following American Idol, while Bones from Thursday following American Idol to Mondays at 8/7C, leading in to House [which drops from the 8/7C pm slot to 9/8C]. 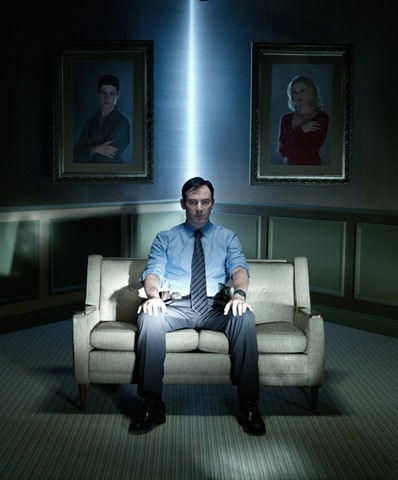 The net is also planning a House retrospective to kickoff the two-hour House series finale event on May 21st, and a special event to celebrate Fox’s 25th Anniversary. For details on the above and more, follow the jump. 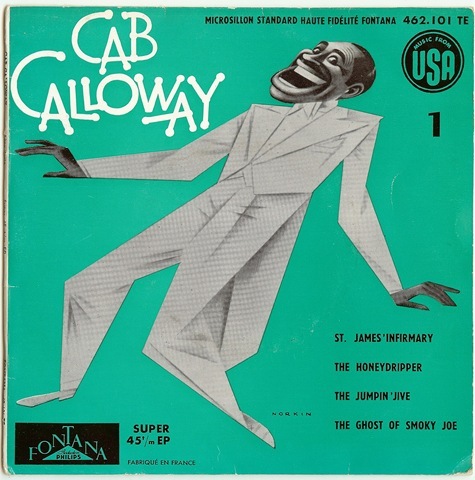 Cab Calloway: Sketches – American Masters Looks At The Man Behind Minnie The Moocher! Cab Calloway enjoyed new fame in 1980 with the release of The Blues Brothers, directed by John Landis. By which time, he had largely been forgotten. In Cab Calloway: Sketches [PBS, American Masters, 10/9C], Landis is but one of many who reflect on Calloway and his music style charged a generation and influenced many more. 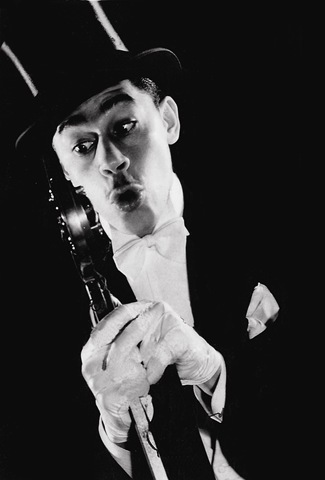 Gail Levin’s Cab Calloway: Sketches isn’t what you would call a biography. It’s more of a collection of reflections and reminiscences that chart his progression as a musician, entertainer and innovator. Sheldon’s Call: If I Picked The 2012 Oscars®! It’s time for the world of film to get out the gowns and tuxes and celebrate the [alleged] best in filmmaking for 2011. There are a lot of great films – and a few duds – nominated for the 84th Academy Awards/Oscars®, and odds are not all the winners will receive the approval of the home audience [let alone the many critics who put Extremely Clichéd and Incredibly Boring on their worst films of the year list – it was rated a not too terribly unfresh 46% on RottenTomatoes.com]. Young Justice Video Game Coming! I love the Young Justice series, I just never know when it’s on. Little Orbit, a worldwide game publisher, announced today that it has entered into a licensing agreement with Warner Bros. Interactive Entertainment for the Young Justice: Legacy video game set to ship in early 2013 for PlayStation®3 computer entertainment system, the Xbox 360® video game and entertainment system from Microsoft, Nintendo’s Wii(TM) system, and the Nintendo DS(TM) hand held system. New episodes of the Warner Bros. Animation series Young Justice will air beginning Saturday, March 3, at 10:30 a.m. ET/PT on Cartoon Network as part of DC Nation, the network’s brand-new one-hour block of exclusive kids’ television programming and shorts based on DC Comics characters. In Young Justice, teenage heroes Robin, Aqualad, Kid Flash, Superboy, Miss Martian and Artemis are tasked by the Justice League to act as their covert operations team. Armed with superior skills, weaponry and powers, the team must do battle against a wide array of villains from the DC Universe while trying to prove to themselves, and to their superhero mentors, that they too have what it takes to be a hero. Their journey is further complicated when they face the many unpredictable obstacles that arise in their path from inexperience and youth. I hope it’s good, there’s not enough super hero games out there. Louis CK Returns To Parks and Recreation! Whenever Louis CK turns up as a guest star in any series, it immediately becomes more fun. Now he’s back on this week’s episode of Parks and Recreation [NBC, Thursdays, 8:30/7:30C] as Leslie’s ex-boyfriend, Dave Sanderson. Let the laughter and wincing begin. 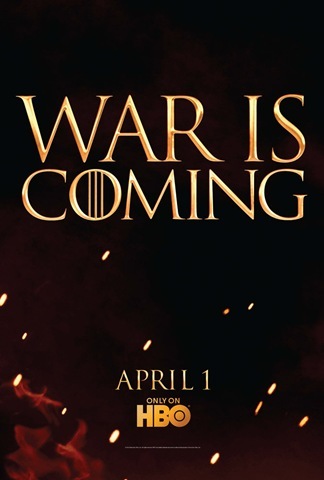 Ominous Season Two Game of Thrones Poster! Forget winter! This would be worse! I’m watching NBC News this morning and they call Adele a “New Star?” How out of touch are these “news” writer? Last night’s Grammys was a strong show. Not being a religious person, I was pretty offended by the opening prayer, just get on with the show and stop pushing your fake, artificial “piousness” on everyone! There’s something comforting about the fact that Bruce Springsteen never ages or change. Bruno Mars had a very strong performance. I don’t like Chris Brown music, but he he is an amazing live performer. Jennifer Hudson’s “I Will Always Love You” tribute to Whitney was great and flawless but it felt weird, off, and somehow inappropriate. Can someone else besides Adele win an award please? She had a clean 6 for 6 sweep. I was hoping my man Bruno would snag at least one award – I mean, heck they gave Chris Brown an award for that amazingly awful F.A.M.E. album! I love 21, but come on. Then Adele threw it down and once again showed everyone why she is incredible. No gimmicks, just an outstanding voice. Who the heck is Bon Ives? I will never understand Nicki Minaj’s popularity I cannot stand her music and she’s a crummy live performer which she once again proved by last night’s weird, whatever it was. Rhianna, Taylor Swift, Foo Fighters and Katy Perry were also pretty terrible last night. KP debuted a new song that was clearly aimed at a certain someone. It actually seemed like a rip off/variation of Pinks big “So What.” Only this time Perry angrily sings “You can’t take this part of me Away.” The Beach Boys segment started awful because Adam Levine was terrible, but Foster for the People did a great Beach Boys rendition and then the real thing came out. I loved seeing the original Beach Boys back on the stage! They sounded the same as they did 30 years ago, didn’t miss a beat. Overall a really good night for safe, mainstream music. FOX Releases Spring Schedule: Bones Returns April 5th! This afternoon, Fox Television released its spring schedule – complete with for return dates for Bones and Breaking In, and the series premiere of Touch.